Synopsis (from Amazon): With the haunting atmosphere and emotional power of The Language of Flowers, Orphan Train,and The Light Between Oceans, critically acclaimed children's author Jean E. Pendziwol's adult debut is an affecting story of family, identity, and art that involves a decades-old mystery. Though her mind is still sharp, Elizabeth's eyes have failed. No longer able to linger over her beloved books or gaze at the paintings that move her spirit, she fills the void with music and memories of her family, especially her beloved twin sister, Emily. When her late father's journals are discovered after an accident, the past suddenly becomes all too present. With the help of Morgan, a delinquent teenager performing community service at her senior home, Elizabeth goes through the diaries, a journey through time that brings the two women closer together. 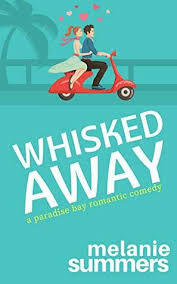 Entry by entry, these unlikely friends are drawn deep into a world far removed from their own, to Porphyry Island on Lake Superior, where Elizabeth's father manned the lighthouse and raised his young family 70 years before. As the words on those musty pages come alive, Elizabeth and Morgan begin to realize that their fates are connected to the isolated island in ways they never dreamed. 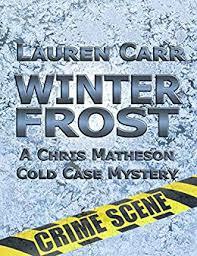 While the discovery of Morgan's connection sheds light onto her own family mysteries, the faded pages of the journals will shake the foundation of everything Elizabeth thinks she knows and bring the secrets of the past into the light. One (or more) Sentence Summary: The Light Keeper's Daughters was very enjoyable. It was a great story that grabbed me right from the beginning. What I was not expecting with a mystery within the story. Just when I thought I had it figured out, I was wrong....way wrong. I loved how the past and present were blended together to make a wonderful read. Given I am from Michigan, I enjoyed the setting of Lake Superior! Would I Read Other Books by the Author: I would like to read another book by Jean Pendziwol. Jean E. Pendziwol is an award winning Canadian author of books for adults and children. She was shortlisted for the Governor General’s Award and the 2014 TD Canadian Children’s Literature Award for Once Upon a Northern Night (Groundwood Books, 2013). Her children’s books include the critically acclaimed No Dragons for Tea: Fire Safety for Kids (and Dragons) (Kids Can Press), which continues to be used as a valuable resource for teaching fire safety. 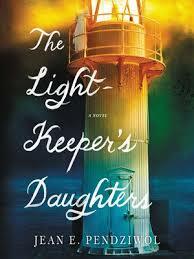 Her debut adult novel, The Light Keeper’s Daughters will be published by HarperCollins in 2017. Jean's latest children's book, Me and You and the Red Canoe, (Groundwood Books) will also be released in 2017. She lives in the shadow of the Nor’Wester Mountains near Lake Superior and draws inspiration for her stories from the rich history, culture and geography of northwestern Ontario, Canada. She has three adult children, a loveable mutt, and a coop of temperamental chickens, all occasionally tormented by visiting deer, foxes, wolves and bears.